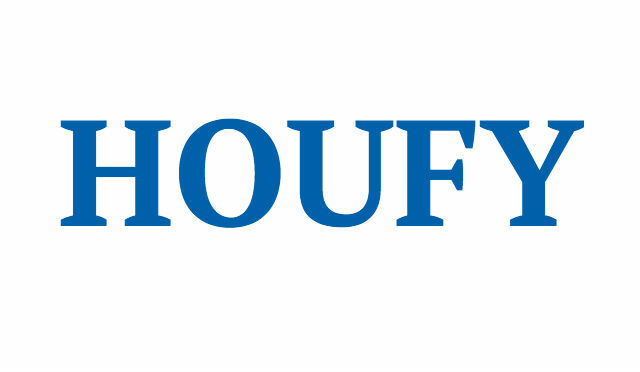 To follow Leslie Ray, please log in to Houfy or create an account. Peacefully poised amid tall oak trees, the little house is colorful, comfortable, clean, and cozy! Once a quaint little farmhouse, built in 1952, this lovely bungalow was a country home with wood clapboard siding on a property of over 100 acres. It now sits placidly on 5 pastoral acres, secluded and serene. It is within city limits but it feels like the country. The home has an updated Mediterranean look, with stucco, stone, a cupola and arches. Peacefully poised amid tall oak trees, the little house is colorful, comfortable, clean, and cozy! The interior of the home has been completely modernized with new, green and energy efficient materials and appliances. There are three bedrooms in the home. All three have queen size beds. There is also a queen size sleeper sofa in the living room, so the home can accommodate up to 8+ guests. * There are two full bathrooms and a washer and dryer for your convenience. The great room is divided into a living area, dining area and small corner office space. The kitchen is fully equipped with cookware, dinnerware, utensils, and a small selection of commonly used condiments for your convenience. The living room has a 42' LCD TV with Dish Network and DVR for your pleasure! Watch the game, record your favorite TV shows, or enjoy one of the many DVD's in the video library. We've provided a Wii system and a couple of games for your kids, or use the Wii Fit to make up for missing your workout! There is a small stereo and some CD's for your use, as well as a small collection of books, if you just want to chill and enjoy the quietude. Overall size of the home is 1200 square feet (heated/cooled area). The rooms, while small, are comfortable. The term most guests have used to describe it is 'cozy'. Are you an art lover? We hope you will appreciate the original art that adorns the walls in this little home. While the art is for the enjoyment of our guests, many of the pieces are also for sale (just ask). If you have allergies, you'll be pleased to know that the home has all wood and tile floors, with few area rugs. Pets are not allowed and there is no smoking allowed in the house or on the property. The front of the house has a small porch with rocking chairs, so that you can sit outside and appreciate the views. Bordering the backyard is a wooded area, which lends a touch of privacy. There is a stone patio in the backyard, with a canopy/gazebo and patio furniture. A charcoal barbecue grill, with charcoal and lighter fluid, is provided, and we hope to have a portable fire pit soon. Whether you're visiting short term or long term, you'll find this home 'just right'. Sit on the front porch in the evening and you might see one of the red tail hawks that live on the property. Or, maybe the pair of owls that visit frequently. Coyotes and raccoons, and an occasional armadillo or roadrunner can also be seen as the sun dips down on the horizon. The owner's home is next door, in case you should need anything to make your stay more enjoyable. In addition to the one-car garage with garage door opener (which has a handy entry keypad), there is a parking area in front of the house, just beyond the trees. If you're concerned about privacy, there is rarely traffic on the dead end road (which is a private drive). In addition, the main house has a driveway sensor, so the owner is aware when vehicles arrive and depart. All items in the bungalow are inventoried. When you make your reservation, you will be sent a contract, house rules, and a partial list of items/amenities provided for your use (so that you don't have to bring the kitchen sink with you!). *Absolute maximum number of renters in a group is 8. Normal capacity is 6. For extra renters, rate is $20 per person per night. No smoking allowed on the property, inside or out. We welcome kids, but the home is not baby/toddler/child-proofed. Also, parents must not allow children outside unsupervised. The pasture, like any pasture, has holes, rocks and wildlife. No events allowed. No visitors, as our liability insurance only covers renters listed on the contract. We will not be responsible for injuries to visitors. We provide sightseeing information in the bungalow. If you need any suggestions for restaurants, we also provide that information. There are two children's attractions nearby: Lokomotion and Fun City. Renters must be at least 25 in order to rent. Renter who pays for stay must be present at all times. Owner prefers to accept e-payments, credit cards or debit cards, payable through VRBO.com site--we will send you the link. However, Owner may, at her discretion, choose to accept payment in the form of an e-check through PayPal--ask for info. If your payment amount exceeds $1000 and you book at least two months in advance, owner may agree to break down the payments into 2 installments (please inquire). Damage deposit is collected along with rent and other fees, and is refunded within 7 business days of renter's departure, provided there has been nothing damaged. House rules are provided when booking has been paid and confirmed. Rental agreement must be completed and submitted with digital signature on our official website and renter must provide copies of front and back of current driver's license. Convenient to many events and locations in northwest Arkansas: BBB (Bikes, Blues & BBQ), Razorback games, University of Arkansas graduation, golf tournaments, Joe Martin Stage Race, Northwest Arkansas Naturals games, Botanical Garden of the Ozarks, War Eagle Mill Craft Fair, Crystal Bridges, Walton Arts Center concerts and shows, Eureka Springs, Devil's Den State Park, Hobbs State Park, Prairie Grove Battlefield, Lake Fayetteville, Lake Wedington, Beaver Lake, White River, Bob Kidd Lake, Mount Sequoyah, Blessings at Clear Creek Golf Course, Brush Creek Golf Course, Shiloh Museum of Ozark History, Tontitown Historical Museum, Orphan Train Riders Museum, Puppy Creek Golf, Springdale Country Club, Fayetteville Country Club, Arts Center of The Ozarks, Vene's Native American Art Gallery, Arkansas and Missouri Railroad, Jones Center for Families, Shadow Valley Country Club, Arkansas Air Museum, University of Arkansas Discovery Zone, Stonebridge Meadows Golf Course, and more.